The Committee was briefed by the Bloem, Sedibeng and Rand Water Boards on their Annual Reports. The Committee was also given an update by SANDF on its intervention in Emfuleni Municipality and received a report from Ekurhuleni Municipality on a petition sent to the municipality. Bloem Water said its biggest challenge was that municipalities were not paying their accounts at all which meant that Bloem Water could not plan capital expenditure. Non-payment by municipalities was an issue that went beyond the Water Board and had to be addressed at a national level. Other challenges were ongoing drought and the siltation of the Welbedacht Dam on the Caledon River which meant there was a need to convey water via a pipeline from the Gariep Dam. Bloem Water had spent R177 m on infrastructure projects and there had been three major pipe bursts on the ageing pipeline infrastructure. The issue of the siltation of the dam was still unresolved and Bloem Water was awaiting the outcome of research into that matter. 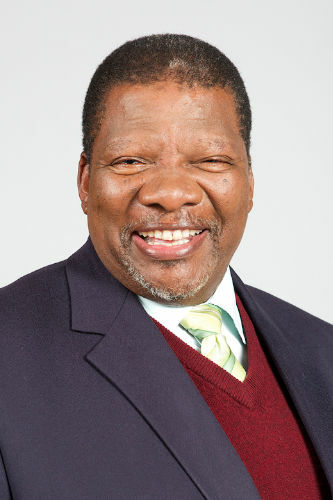 Minister Gugile Nkwinti said the board of Bloem Water had just been finalised and he was trying to sort out the board of Sedibeng Water. That was necessary so that the vacant executive leadership posts could be filled and bring stability to the boards. Minister Nkwinti was accompanied by Deputy Minister Pamela Tshwete. Sedibeng Water Board said the organisation was financially sound and viable, however municipalities were four years in arrears with their accounts and municipal debt totalled R3.6 b, which was putting the organisation into a cashflow predicament. Municipalities did not honour agreements they made. National Treasury and the Department of Cooperative Governance and Traditional Authorities needed to assist municipalities. In addition, Sedibeng Water was doing infrastructural work that was the responsibility of the Department, causing Sedibeng Water to find itself in financial difficulties. Minister Nkwinti stated the Water Boards were suffering because municipalities did not have the capacity to manage their water accounts. Members said the water boards should try to fix what was there, rather than build new pipelines. There were eight possible models to get extra water, not just the expensive Gariep pipeline. Where would the R8 b for the pipeline come from? Members said that if communities were suffering because municipalities were signing agreements but not honouring them, then the distribution of water should be handed over to the Water Boards. What was the cause of the R1.1 m in irregular spending and how had Bloem Water addressed previous recommendations on irregular spending? Members recommended that the figures for the creditors list and the debtor days be further reduced. What was the lifespan of the pipes that had burst and what planning had been in place prior to the end of the lifespan of the pipes? Was section 32 of the Municipal Financial Management Act used in the contestation of payments with municipalities? Was use made of the Water Tribunal when there was water pollution? Members asked for an update on the Jagersfontein problem which had been discussed in the previous meeting. Was there compliance with supply chain management policies at Sedibeng Water? Why was there R597 000 in fruitless and wasteful expenditure caused by late payments? Were the Auditor-General’s findings in terms of the reliability and usefulness of information addressed? Members asked, in the light of the apparent non-compliance on the Vaal Gamagara project, for a list of all successful tender bidders. Rand Water had achieved 30 out of 40 targets while eight targets had not been measurable. There had been growth in both the gross and net income of 19% and 33% respectively. Capital expenditure had been reduced by 20% because of challenges in the supply chain management environment. The Water Board had received an unqualified audit report from the Auditor-General, with a few matters of emphasis. The focus still needed to be on supply chain management as that was ranked as the number one risk. Rand Water was concerned about outstanding municipal debt and also about encroachment on its servitudes. Other risks were climate change, the sludge generated from water treatment, infrastructure projects, critical spares, and chemicals. Rand Water was having a relook at the generation of electricity through hydropower. There was irregular expenditure of R117 m and fruitless and wasteful expenditure of R11.8 m as result of legal proceedings instituted against the Rand Water Board. The South African National Defence Force gave a progress report on the Emfuleni Municipality intervention and the waste water pollution of the Vaal River system caused by vandalism, ageing infrastructure, and wastewater demand exceeding the design capacity of the plant. The Defence Force was able to resuscitate the plan, but it needed a sustained intervention, including maintenance and the replacement of infrastructure. The Defence Force’s priority area had been the Sebokeng area and it had expanded its protection of plant zones from the plants that it was working on to include all relay pump stations. The cost of the work would be R1 b and funds had not yet been guaranteed. The Defence Force noted that the municipal labour force had not wanted them at the plants and the community had staged protests at the plant gates, threatening to close the gates until their demands had been met. The Defence Force’s assessment was that once the plants had been handed over to the municipalities, they, and even the provincial departments, would not be able to maintain the plants. Ekurhuleni Municipality briefed the Committee on an internal report relating to the petition on the issue of sewerage in the Kaalspruit that it had forwarded to the Department. Ekurhuleni Municipality was doing pipe replacement and sewer sweeping with the budget available to it, as well as undertaking pollution awareness campaigns along the river. The big challenge was vandalism of plant in the high lying areas of the municipality. Members asked if the contingent liabilities of Rand Water could be explained. Members asked if the non-payment of learners in the “War on Leaks’ program had been resolved. The majority of goods and services for Rand Water did not comply with procurement rules: was that deliberate? Who was responsible for the funding of the army’s intervention? Was there any communication with the Department on the question of funding? What was the status regarding making all water infrastructure national key points? Members said the petition’s grievances had not been addressed and nothing had changed. Was there any progress in cleaning the river? What had been done since 2016? If the Department did not act on the matter, then criminal charges should be laid against the municipality. Members wanted the results of the water quality test as there was concerned for the health of the residents of Tembisa. The Minister agreed to follow-up the water report. The Chairperson noted that that day was the last day for the Committee to sit as Parliament rose the following day. He was looking forward to an interesting election. He informed the Committee had also invited the Army to present to the Committee on its involvement in the Vaal River system intervention. He noted that representatives from Ekurhuleni were at the meeting so that they could respond when the Committee spoke of the petition sent to Ekurhuleni in 2016. Mr Tefetso Phitsane, Bloem Water Board Chairperson, said that the big challenge to Bloem Water was that municipalities were not paying their accounts at all. Other challenges were ongoing fraud drought and the siltation of the Welbedacht Dam on the Caledon River. It was close to impossible to get water from the dam and there was a need to get water from Gariep Dam. The Board wanted to expedite the construction of a pipeline from Gariep Dam to Mangaung in the next three to five years. Bloem Water had engaged with the National Council of Provinces on the matter, as well as provincial and catchment area forums. He said Bloem Water was generating hydro-electricity to supply part of its own electrical needs. Dr Limakatso Moorosi, CEO, Bloem Water, said it had spent R177 m on infrastructure projects and had created 560 temporary jobs. There had been three major pipe bursts on the ageing pipeline infrastructure. She spoke about Bloem Water’s Corporate Social Investment (CSI) programs and its twinning partnership with a water board in Malawi. 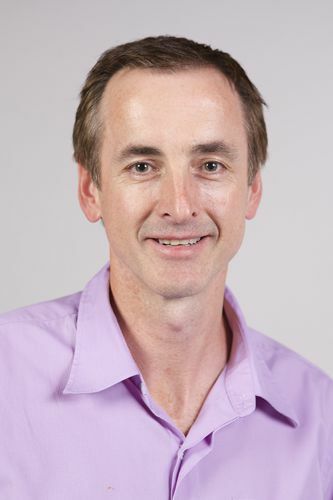 Mr Ockie Stadler, CFO at the Board, said the Auditor-General’s report reflected matters of emphasis on possible fruitless and wasteful expenditure of R1.1 m and uncertainty relating to financial viability. He said that the Department of Water and Sanitation (DWS) asset reserve fund item,, which amounted to R43.5 m had been transferred to accumulated profit. Debtor days had been reduced to 96 days from the previous year’s 116 days. He said sales volumes, and therefore revenue, was below budget because of the drought. Other concerns were that Mangaung Metro was not paying on time and had continuing solvency and liquidity concerns. He said the financial statements had been prepared according to GAAP standards and this would change to the GRAP standard in the next financial year. Dr Moorosi said Bloem Water’s ability to fund current and future projects was a serious issue because Bloem Water could not plan capital expenditure if it was not receiving payment from its clients. Mangaung Metro had not paid its current accounts since December 2018 and Kopanong Municipality owed R300 m but there was nothing more Bloem Water could do to get payment. Yet it still had to provide water, which it had restricted to 30%. The non-payment was an issue beyond the Water Board and should be looked into at the national level and with the Department of Cooperative Government and Traditional Affairs (COGTA). She said the issue of siltation of the dam was still unresolved because it was a structural issue of the river and Bloem Water was awaiting the outcome of research into that matter. Minister Gugile Nkwinti, who had arrived late, was welcomed. He said he was late because he had been trying to sort out the board of Sedibeng Water. He said it was easy to interact with the two water boards because they communicated well. He said he was trying to bring stability to the boards by sorting out the vacant positions so that the executive leadership posts could be filled which would bring stability to the water boards. The board of Bloem Water had just been finalised. Mr David Dikoko, Chairperson: Sedibeng Water Board, addressed the issue of the area of operations, informing the Committee that Sedibeng Water operated in three semi-rural provinces. Mr Pheteng Mokubung, Acting Chief Executive Officer, Sedibeng Water Board, said the organisation was financially sound and viable. He said that revenue and surplus targets had been exceeded. Ms Mpinane Shasha, Chief Financial Officer, Sedibeng Water Board, stated that the Department owed Sedibeng R2.2 b. She said that normal account credit days was 30 days, but municipalities were four years in arrears. 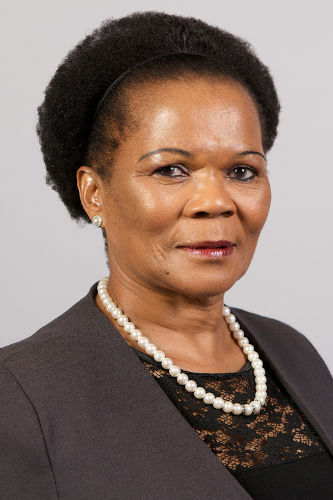 She said the Acting DG of the Department had directed them to the Inter-Ministerial Task Team (IMTT) to assist Sedibeng Water with debt recovery. She said the Auditor-General’s (AG’s) audit report showed no repeat findings and the findings for that year were fewer than in the previous year. She said tariffs had increased by 7.2% and municipal debt totalled R3.6b. One municipality had last paid in July 2018 and with average municipal bills of R40 m to 50 m per month, it was putting the organisation into a cashflow predicament. Cashflow was a serious challenge and the problems of municipalities could not sort out their own problems. Treasury and COGTA needed to assist municipalities. Mr Dikoko said that the Committee needed to be aware that every 30 months there were elections of some sort and therefore it became difficult to put legal restrictions in place because of non-payment by municipalities. That needed to be looked at. He said municipalities had not honoured the agreements they had made with Sedibeng Water. Currently, Sedibeng Water could not cope using ground water alone. He said the Department had overspent their budget by R10 b while COGTA had underspent its budget by R10 b because Sedibeng Water was doing work that was COGTA’s responsibility. Minister Nkwinti said the Water Boards were suffering because municipalities did not have the capacity to manage their water accounts. The Chairperson said the water boards should try to fix what was there, rather than build a new Gariep pipeline. He said debt was an issue and debtor days had increased. He questioned whether debt would be written off. He wanted comment on the new Public Audit Act. Mr L Basson (DA) said he had visited Mangaung and there were eight models to get extra water there, not just the Gariep pipeline. Gariep pipeline was expensive but there were cheaper and better models to follow. That month Bloem Water had sent a letter to Mangaung municipality informing it that the municipality had not honoured the agreement between the two of them as Mangaung had owed R179 m for the past three months. Mangaung and other municipalities were signing agreements but not honouring them and communities were suffering. If that was going to continue, then the distribution of water should be handed over to the water boards. Dr D Kabini (ANC) said he was puzzled by slide 20 in the Bloem Water presentation. There was a contradiction because Mangaung claimed that they had implemented a strategy to install prepaid meters to get income, yet Bloem Water was not getting money from Mangaung. He asked if the Department had ever owed Bloem Water for bulk water supply for the bucket eradication program. What was the cause of the R1.1m in irregular spending and how had Bloem Water addressed previous recommendations on irregular spending? Mr D Mnguni (ANC) recommended that the creditors’ list and the debtor days figures be further reduced. What was the lifespan of the pipes that had burst and what planning had there been in place prior to the end of the lifespan of the pipes? Was section 32 of the Municipal Financial Management Act used in the contestation of payments with municipalities? Was use made of the Water Tribunal where there was water pollution? He said he was not happy with Sedibeng Water’s creditors’ list and the board had to put a plan in place to address that. He said the leadership issue needed to be dealt with and vacant posts should be filled with people who had a good track record. Regarding the case of the Construction Industry Development Board (CIDB) certificate, he asked if any warnings had been given and if so, what steps had been taken? Mr Mnguni asked how many schools had been part of the CSI program in 2017/18, as there appeared to be many schools involved. He added that no monetary amounts were linked to the CSI program in the presentation. What were the amounts? He said many targets had not been achieved or only partially achieved. Why set targets if they could not be met? He said that there appeared to be disparities in costs where electricity costs increased, while other costs decreased. Ms N Khawula (EFF) asked whether the Department realised that the Department was the problem because the lack of achievements was a worrying sign. She said that in five years nothing has been done to assist the public. Municipalities got money from the public but did not use it to pay the water boards. Was there no way of following that up? Mr R Hugo (DA) enquired as to the status of the boards of Bloem and Sedibeng Water Boards. How many schools had taken part in the Health and Hygiene Program? Mr Phitsane said that years previously, the issue about where to get water for Mangaung, had been raised because the only source was the Welbedacht Dam on the Caledon River. Due to the silting up of the Dam, Bloem Water had wanted to install a pipeline from Gariep Dam to Mangaung. Other water sources would not be able to sustain Bloemfontein. Bloem Water was pumping water to a catchment dam where there would be no siltation. The siltation on the Caledon river was not a sustainable solution, so a pipeline was needed to supply Bloemfontein. The cost of the pipeline was between R2 billion and R8 billion. Bloem Water had regularly reminded the Department about the matter. He said the pipe between Welbedacht Dam and Mangaung had broken. Two feasibility studies had been done and Bloem Water had established a workshop so that it could manufacture pipe connections itself. On the issue of strategic objectives not being achieved, he said that the board was working on that. that. On the matter of the Mangaung Metro and payment for water supplied, he said that part of the problem was that a lot of water was being lost between the supplying of it and the receiving of it. Water meters were placed in position and Treasury had been called on many times to mediate on the water accounts. DR Moorosi said the irregular expenditure had been incurred because of an IT company that Bloem Water could not dissociate itself from, and that spending was regarded as irregular. The contract with the company had eventually been terminated because all IT systems were in place and all IT posts that had been vacant had been filled. She said the Minister had instructed the Department to pay Bloem Water the monies owed on the bucket eradication program. The proposed new pipeline was 106 km long and the Department was assisting in the matter. On the monitoring of the water flow between Bloem Water and Mangaung, Dr Moorosi reported that both Bloem Water and Mangaung checked the meters on daily basis. Together they had obtained an independent assessment. After that, Mangaung stopped paying. Bloem Water had exhausted all Inter-Governmental Relations (IGR) platforms for the payment of water accounts. Nothing had come from using those platforms and Bloem Water was now restricting water to municipalities. There were not many schools the schools CSI program and it was a one-day program. Dr Moorosi stated that Bloem Water had visited ten schools in the year. Additional schools implied extra costs. She agreed that the Water Tribunal was an important body regarding water contamination and the sooner the Tribunal was enhanced, the better. Mr Stadler said that Bloem Water had received an unqualified audit report and revenue and debtors were material matters for the AG. He said Mangaung’s water losses were 40%. The meters used to monitor water flows were calibrated and read jointly. Bloem Water’s statements had been accepted by the AG and Mangaung had to substantiate the claims they made regarding water supplied to them based on their own audits. He said the Mangaung municipality’s debtor profile was that it was two years in arrears. Treasury had had discussions with Mangaung municipality prior to meeting with Bloem Water in an attempt to mediate. A mediated agreement had been reached but the municipality wanted to go back to the 2011 Municipalities Settlement Agreement, so now it was back to negotiation stage. Bloem Water had implemented the mediated agreement, but municipalities went against what had been agreed. Mr Basson asked for an update on the Jagersfontein problem which had been discussed in the previous meeting. Dr Kabini said the problem at Mangaung needed to be identified as the municipality did not do things according to the book. The Chairperson asked where the R8 billion in funds for the pipeline was coming from. Would it be from loans taken out by Bloem Water? Regarding the 560 temporary jobs created, he said he was interested in black business promotion rather than the 560 jobs that had been created. He said there was no reference by Bloem Water to the jobs it had created. On the water from Welbedacht Dam being pumped to Mangaung, Mr Basson said he had heard that only half of what was pumped from the dam ended up in Mangaung. If Mangaung was losing 40% of the water it received, then the solution was to invest in Mangaung’s infrastructure, because water losses were important, not just from an accounting perspective, but because water was a scarce resource. The Chairperson said he had gone to Rustenburg where there had been water losses of 70% and the mines there had indicated their willingness to assist with water saving measures, but the Department had not followed that up. He suggested Bloem Water should seek to save water instead of investing R8 billion in a water pipeline. Mr Phitsane said the estimate for the pipeline was R2 billion, but with current trends, if there was not a start to building it soon, it would get more expensive in future. He said water losses were minimal from the Bloem Water side. The capital expenditure of Bloem Water was very, very small and 90% of the expenditure was BEE directed and 700 jobs had been created. Further studies had been done since 2014 on the cost of the pipeline from Gariep Dam and that had arrived at the correct estimate, which included the pump stations, of R8 billion and rising. Dr Moorosi said Bloem Water was ready to assist with water losses but needed infrastructure information from Municipalities. Bloem Water had been asking for that information for two years but had not received it. Jagersfontein was not getting enough water, because Bloem Water was restricting water to 30% and some community associations had said they wanted to get their water directly from Bloem Water. Bloem Water had not got involved in the matter. Mr Themba Ngubane, Projects and Engineering Executive at Bloem Water Board, said Blue Drop certification was a monthly water monitoring programme and the results were uploaded to a platform from which anyone could check the quality of water. Bloem Water had also had an independent assessment and laboratory analysis done on its water quality assurance. It was an ongoing program and water quality was 99.9%. Bloem Water treated the dirty water of Welbedacht Dam. The Chairperson said tariffs were regionalised. The national Department was lagging behind. Would it not be better to regionalise such reports on water quality too? Mr Basson said he had visited the North West area and municipalities were blaming Sedibeng Water and Sedibeng Water was blaming municipalities regarding arrear payments while no-one was taking responsibility for the matter. Dr Kabini said the AG’s finding was that fruitless and wasteful expenditure arose from supply chain steps that were not carried out. Could that be clarified and was the supply chain management (SCM) compliance in terms of the law resolved? Why were late payments made, resulting in fruitless and wasteful expenditure? What were the AG’s findings in terms of the reliability and usefulness of information addressed? Mr Hugo said it appeared that there was non-compliance on the Vaal Gamagara project. Could Sedibeng Water give a list of all successful bidders? Mr Dikoko said Sedibeng Water had been asked by the Minister to assist municipalities instead of Sedibeng and the municipalities blaming each other. The issues would be resolved but later faults would be ascribed to Sedibeng Water and not the municipalities. In terms of the leadership of Sedibeng Water, he said the board’s establishment was being sorted out by the Minister. He said the post of CEO was being advertised and an investigation into the ex-CEO was underway. On Ms Khawula’s questions, he said that 20 years ago challenges arose in the municipalities of those areas she had mentioned, and these challenges remained there. He said that because of socio-economic development, people had moved to the townships. Municipalities were still operating with boreholes, but their populations were growing. Municipalities needed to rely on surface water, not underground water. Mr Mokubung said Sedibeng Water’s CSI program had 13 programs and R20 000 was spent per program, making a total of R260 000. On the AG’s comment on the reliability and usefulness of information, he said the question was whether the definitions were ‘SMART’. That was being addressed in the coming business plan. Regarding skills development, the major impact had been on the SETA programme. On the issue of debtor days and recovering debt, he said water restrictions had been implemented and Sedibeng Water was compiling a repayment plan. On the Vaal Gamagara Project, Mr Dikoko said an advertisement had been placed in 2016 but the whole process had been delayed after one company, Gibb, had been awarded the tender. An objection had been received from another tenderer that Gibb’s CIDB certification had expired. Sedibeng Water confirmed that the certificate was still valid. The objector then went to the high court. Sedibeng Water decided to terminate the contract and re-advertise the tender, which then once again needed 120 days to follow due processes. The Department had asked that the second tender evaluation be done quickly, but Sedibeng Water then received a second objection from a different firm concerning the tender documents. At the moment all legal processes were being followed. Sedibeng Water would supply a written document on the processes followed. The Chairperson said that the Department should assist Sedibeng Water with the tender. Ms Khawula said she was not happy with the way municipalities treated communities. Mr Hugo asked what the status of the two water boards was. Minister Nkwinti stated that Bloem Water board had been approved at the last Cabinet meeting. On Sedibeng Water, he said he had been late for that meeting because he had been trying to get a recommendation for the selection panel. He had requested that the President accept that the board be presented to him the following day so that the board could be finalised by the end of the Fifth Administration. Ms M Mbonambi, Deputy Chairperson Rand Water Board, said there were seven new board members and Rand Water had inducted its new members. She said Rand Water had had good results despite many challenges. 30 out of the 40 targets had been achieved while eight had not been measurable. There had been growth in both the gross and net income. Capital expenditure had been reduced by 22% because of challenges in the SCM environment. Rand Water had received an unqualified audit report with a few matters of emphasis. The focus still needed to be on SCM, as that was ranked the number one risk. She said Rand Water was still engaging with Treasury regarding grey areas of interpretation in SCM. Regarding consequence management, she said investigations were being done on possible transgressions of SCM. She said Rand Water was still concerned about outstanding municipal debt. Encroachment on Rand Water servitudes was also a risk. Mr Sipho Mosai, Acting CEO, said Rand Water had an electricity bill of R2 billion and was looking at hydro-electric power to generate electricity for its own use. He said the number of debtor days stood between 30 and 55 days. The risks facing Rand Water were encroachment on servitudes through the building of structures on the land, climate change, the sludge generated from water treatment, infrastructure projects, critical spares, and chemicals. Revenue had increased by 12%; net income had increased by 33%; gross income had increased by 19%; liabilities had been reduced by 3%; and Capex dropped by 20%. Rand Water had received an unqualified audit opinion from the AG. He was having a relook at the generation of electricity through hydropower. The challenges on the ‘War on Leaks’ remained the same as reported the previous time. The sustainability of the program was dependant on payments from the Department. He said CSI spend was R43.8 m from Rand Water’s own funding. Ms Mpinane Shasha, Operations Finance Manager at Rand Water, said there had been irregular expenditure of R117 m and fruitless and wasteful expenditure of R11.8 m as result of legal proceedings instituted against Rand Water. The Chairperson said Rand Water needed to develop a plan regarding the debt collection. Colonel Andries Mahapa, Operations Commander, gave a progress report on the Emfuleni Municipality intervention concerning the waste water pollution of the Vaal River system. He said a question could be posed as to what the military was doing there, as there was no war but the Minister of Finance, Mr Tito Mboweni, had announced that the military would intervene and one day after the announcement, SANDF had been present to do an assessment. Colonel Mahapa explained that there had been vandalism at the wastewater treatment plant which had led to untreated waste water going into the river. There was ageing infrastructure, and the wastewater demand exceeded the design capacity of the plant. SANDF’s purpose was to resuscitate the plant, but it also needed a sustained intervention, including maintenance and the replacement of infrastructure. SANDF’s priority had been the Sebokeng area and it had expanded its protection of plant zones from the areas it was working on to include the relay pump stations. He said the cost of the work would be R1 billion. He said a challenge the Committee needed to take note of, was that the funds had not yet been guaranteed. SANDF also lacked transport capability for the rotation of troops and needed a high-pressure jetting truck with a suction unit and sewer unit trailer. Colonel Mahapa said the municipality’s labour issue also needed sorting out because municipal labour had declared that the military should not be deployed there. The community, too, wanted to close the gates of the plants until their demands had been met. His assessment was that after handover of the plants to the municipalities, municipalities and even the provincial departments would not be able to maintain the plants. He added there was also political interference, in that political parties had been pushing for the gates of the plants to be closed, even though the plants were designated temporary military zones. Every Friday the community would be at the gates making demands. Next door to one of the plants was a house that had been built on the pipeline and he questioned how approval for the building of the house had been granted. Mr Mosai said two petitions had been received since 2016 regarding electricity backup generators at load shedding times. Mr Mduduzi Shabangu, HoD: Water and Sanitation, Ekurhuleni Municipality, spoke to an internal report given to the Department on the petition regarding the sewerage in the Kaalspruit which drained, not to the Vaal, but through the Hennops River to Tshwane. He said the petition had been sent in 2016. He said Ekurhuleni Municipality was doing pipe replacement and sewer sweeping with the budget available to it. It was also doing pollution awareness campaigns along the river. He said Ekurhuleni Municipality was flat and did not have a major pumping system. The big challenge was vandalism in the high lying areas of the municipalities. Mr Basson said the problems had not been addressed and nothing had changed. Dr Kabini asked if the non-payment of learners in the “War on Leaks’ program at Rand Water had been resolved. He asked if water pumped to an asset in another municipality had been checked. Mr Mnguni asked about the contingent liabilities of Rand Water. Could that be explained? The majority of goods and services for Rand Water did not comply with procurement rules. Was that deliberate? Who was responsible for the funding of the army’s intervention? Was there any communication with the Department of Water and Sanitation on the issue of the funds? What was the status on making all water infrastructure national key points? Mr M Waters (DA) apologised for arriving late for the meeting. He said that Ekurhuleni Municipality was like a sewer and had a horrific stench. Regarding infrastructure for dam construction, Minister Nkwinti said that the Trans-Caledon Tunnel Authority (TCTA) and water trading entities had been given the responsibility of formalising the revitalisation of the construction unit of the Department of Water and Sanitation and the TCTA would do the financial management. He was awaiting a report from them. The construction unit was currently working. He said the Department wanted to use the manufacturing plant belonging to the Department in Jan Kempdorp. On the contingent liability at Rand Water, Ms Mbonambi she said it was a huge issue because it was a possible outflow of R1 billion. The legal advice Rand Water had received was that the possibility of loss was remote, but it was continually monitored. The board was monitoring the progress in the implementation of the AG’s findings and was hoping it would all be resolved before the end of the financial year. On the ‘War on Leaks’ issue, Mr Mosai said the matter had not been resolved because of the non-payment by the Department of Water and Sanitation. Rand Water had been in contact with the Department monthly on the issue and it would pay learners as soon as it received payment from the Department. Mr Mosai said that Tembisa received most of its water from the Western Highveld Scheme which Rand Water did not control. Rand Water‘s water supply to Tembisa was not enough. The Western Highveld Scheme needed to be sorted out. Rand Water had abandoned the pipe manufacturing project and the supply chain had been professionalised. Ms Fikile Sithole, Group Governance Executive and Acting Company Secretary at Rand Water, said that the contingent liability meant that it was reported financially but it was not realised. It arose from a 10-year contract entered into by an employee without delegation and criminal and civil proceedings had been instituted against the person. The judiciary had agreed with Rand Water in previous discussions on the matter, but the contract claimant had issued a summons against Rand Water. Mr Shabangu said the implementation plan was at the rehabilitation process stage and the Ekurhuleni Municipality was awaiting the Environmental Impact Assessment (EIA) and Water Use License Application (WULA) certificates. The municipality was implementing a number of capital expenditure projects at Kaalfontein river with a budget of R34.54 m to install new pipes and a main outfall sewer and a budget of R44 m to upgrade the existing sewer pipeline. R13 m would be spent on sewer upgrades to increase sewer capacity. He said the municipality was in negotiations with the Department to start with the project because it could not wait one year to get a water licence. He said the municipality was doing educational awareness at communities along the river to teach them not to dump in the river. The Chairperson said what was mentioned was what was planned. He had asked what had been done since 2016. Was there any progress in cleaning the river? Mr Shabangu said the main issue was the that a sinkhole had caused a collapse at a wastewater treatment plant. Service providers had been appointed, and work would start. The municipalities had installed 14 monitoring points on the Kaalspruit river. Cllr Tisetso Nketle, MMC for Water, Sanitation and Energy, Ekurhuleni Municipality, acknowledged that there were areas where pollution had increased but she said there were also areas which showed significant improvement. The Chairperson said the petition had been sent in 2016 and it was now only at the planning stage. What had happened since the petition was received? It seemed as if the municipality was only now responding to the petition. Mr Basson said the Department had issued directives. Did the municipality deal with the issue and was there oversight? Money was only now being budgeted for work on the matter right at the end of the financial year. If the Department did not act on the matter, then criminal charges should be laid against the municipality. Mr Waters stated that it would be helpful to know the water quality test results. He said water submitted for testing had shown an e-coli count of 350 000, where the maximum count should be 1 000. He was concerned for the health of the residents of Tembisa. Mr Shabangu said it should be noted that the municipality also received effluent in the water from Johannesburg. The municipality had started implementing some of the projects with timeframes attached to them. All the projects should be completed within three years. He said the work had been unable to start because the EIA and WULA certification needed to be received before work could begin. There was a need to look at the effluent coming from the city of Johannesburg. Mr Basson asked that the Department follow up on the water tests. Minister Nkwinti said it was already noted. The Chairperson stated that the situation was unacceptable. Just because the people in the meeting were not living in the area, it did not mean that the people there should have to put up with the water and sanitation conditions. They would not last one day in those communities. He said that since the Committee had first sat, it was not a Committee of political parties, but a group of people who wanted to see improvements in water and sanitation across the country. He thanked the Minister and the Deputy Minister for their attendance and working towards making a better life for all, especially in the sector of water and sanitation. Mr Basson thanked the Chairperson for his leadership of the Committee during the Fifth Administration. He appreciated the hard work of and support from the Department of Water and Sanitation. He thanked the Minister, the Deputy Minister, the Water Boards and the Army.